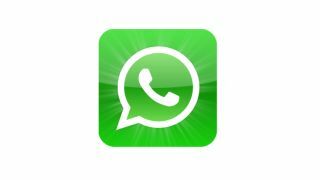 Testament to the ever-growing popularity of the messaging app, WhatsApp CEO Jan Koum has announced that the service has more than 200 million users, with 8 billion inbound and 12 million outbound messages a day. On stage at Dive Into Mobile, Koum said, "We're bigger than Twitter today." Twitter's official user claim is 200 million, but the WhatsApp service has now smashed through that number. While the two services are quite difficult to compare, it's still interesting to see how rapidly WhatsApp has taken over from standard texting services. It's also another reason that Google might want to keep considering a potential purchase of the service, despite word that it's not interested. You can read more news nuggets here.